Hampton 3-Tier Horizontal Kettlebell Rack by Ironcompany.com at Strongman Pictures. MPN: KB-3T. Hurry! Limited time offer. Offer valid only while supplies last. Hampton's Three-Tier Kettlebell Rack is utilitarian and durable. Built with Hampton high quality materials and using a tried and true design. Hampton's Three-Tier Kettlebell Rack is utilitarian and durable. Built with Hampton high quality materials and using a tried and true design. 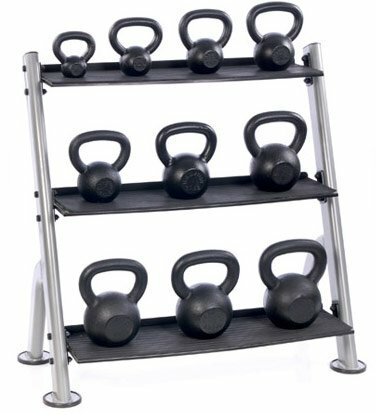 Designed specifically to fit Hampton kettlebells, this tough 3-tier rack can hold an entire set of kettlebells. Does NOT include kettlebells as shown.